Should Tech Pros Get an MBA? Is an MBA the key to IT career success or simply a costly waste of time? Here's what you need to know. CIOs, CTOs, CDOs and other IT executives and high-level managers straddle two worlds: technology and business. Virtually all of these IT leaders have a deep background in areas such as management information systems (MIS), computer information systems (CIS) and project management. Most IT chiefs also have at least a bachelor's degree in a tech field, although some rise through the ranks clutching nothing more than a high school diploma and a fistful of certifications. Reporting directly to the CEO or another C-level executive, IT leaders are typically responsible for leading a highly trained staff and supervising critical projects and assets. Yet the days when an IT boss could blithely ignore business issues to focus on optimizing IT technologies and services are rapidly fading into history. In fact, IT leaders who don't fully understand and support their enterprise's business goals generally find themselves looking for a new job. To gain a better understanding of how the business world meshes with technology, raise their employment profile and enhance their income, a growing number of IT leaders — and aspiring leaders — are now seeking MBA degrees. But is seeking an advanced business degree while holding down a highly demanding job a good or bad idea? Scott Scheible, associate director of the Career Opportunities Center at Carnegie Mellon University’s Tepper School of Business, believes that senior-level IT leaders require more than just technical skills for long-term career success. "They need a strong business acumen and ability to think 'big picture,'" he explains. "They need to understand the business and financial implications of their organization’s technical decisions and overall strategy [and they] need the kinds of communication and interpersonal skills associated with building and leading diverse, cross-functional teams." An MBA can help IT leaders acquire all of these abilities, he advises. Here is a look at the pros and cons of seeking an MBA to advance your IT career. After earning an MBA you'll be widely regarded as a business expert as well as an IT wizard. You'll also find yourself on equal footing with other C-level executives who, in most cases, will pay increased attention to your insights and opinions. "An MBA gives you the language to effectively communicate with other disciplines within the business," says Fiona Adler, CTO of Australian productivity software developer Actioned.com. She believes that an MBA also helps IT leaders better understand the needs of other business areas. "This allows someone with an IT focus to come up with solutions that truly benefit the organization," notes Adler, who holds a Melbourne Business School MBA. The things you'll learn while seeking an MBA will inevitably spill over into your daily work, making you a more effective team player. "An MBA provides valuable knowledge of finance, accounting, strategy and so forth that can prepare you for a new role," observes Ashish Shah, Sr., product management director at Avi Networks, which specializes in software for the delivery of enterprise applications in data centers and clouds. Shah holds an MS in electrical engineering from Stanford and an MBA from Berkeley. Digital transformation is forcing IT to focus more closely on business partners’ needs, advises Meg Ramsey, vice president of cloud services at Sungard Availability Services and a current MBA candidate at MIT. "Pursuing an MBA helps IT professionals broaden their experience and provides them with a holistic view of how the company operates," she explains. "They learn about the business drivers and levers that can be used to help accelerate the business and grow revenue." The best IT people are change agents, and we lead the world in adopting technology and improving their lives, says MBA holder Greg Scott, a former IT consultant who's now a senior technical account manager at Red Hat. "We need soft skills and business skills to make that happen." While an MBA isn’t necessarily required to advance an IT career, it can certainly impact an IT professional’s employment trajectory. "When recruiting for senior-level roles within IT, many organizations are seeking candidates with prior leadership experience and/or advanced business training," Scheible observes. "An MBA not only rounds out a technically-savvy candidate's broader skill set, it also open doors to positions that prefer — and in some instances, require — an advanced degree." CIO and CTO roles can be obtained without an MBA in startups and smaller firms as long as you have extensive experience, says Nenad Ćuk, co-founder and CEO at CroatiaTech, a technology services firm based in Split, Croatia, and Salt Lake City. "But if you're gunning for these positions in established companies, then the bar has been risen," he adds. "These days, I've met CTOs with a PhD, so an MBA in midsize-to-enterprise level companies is just one thing that's needed to even get a call back." "If it doesn't, you picked the wrong program and wasted your time," Ramsey says. She notes that most university executive programs report their graduates’ ROI and progress. "This should be a metric you use to measure the success of the program," she suggests. Many IT professionals use their MBA as a springboard into senior-level roles that pay more and offer higher income potential, Scheible observes. "[Additionally] some firms may offer formal salary increases to employees who obtain graduate degrees and relevant professional certifications, while others may not." "You're a different person when you finish an MBA," Adler declares. Still, the amount of career satisfaction an MBA provides generally depends on one's ambition and aspirations. Overachievers tend to feel the most fulfilled. "If you're fine in being able to stay in the same kind of role for a long, long time, and don't want to move up the corporate ladder, then there is no reason for an MBA," Ćuk says. There's no denying that an MBA degree impresses career decision-makers. “Companies and hiring managers have a great deal of respect for individuals who invest the sweat equity required to obtain an MBA while juggling the job and family responsibilities that typically accompany the mid-stages of one's career," says Mark Settle, CIO of IT security firm Okta and author of the book Truth from the Trenches: A Practical Guide to the Art of IT Management. An MBA can take IT leaders to a higher level of professional confidence, giving them enhanced problem-solving skills that will help them push through all kinds of challenging situations and, ultimately, expedite career enhancement. "In my case, I previously worried that I didn't have the knowledge or intellectual power to put my case up against stronger, more senior colleagues," Adler admits. "After finishing an MBA, I had a much stronger belief in my own opinions." "I would not have been able to survive more than 20 years as an independent IT contractor or write books without my MBA degree," says Scott, who recently authored Bullseye Breach: Anatomy of an Electronic Break-in, an IT security book presented as a fiction thriller. 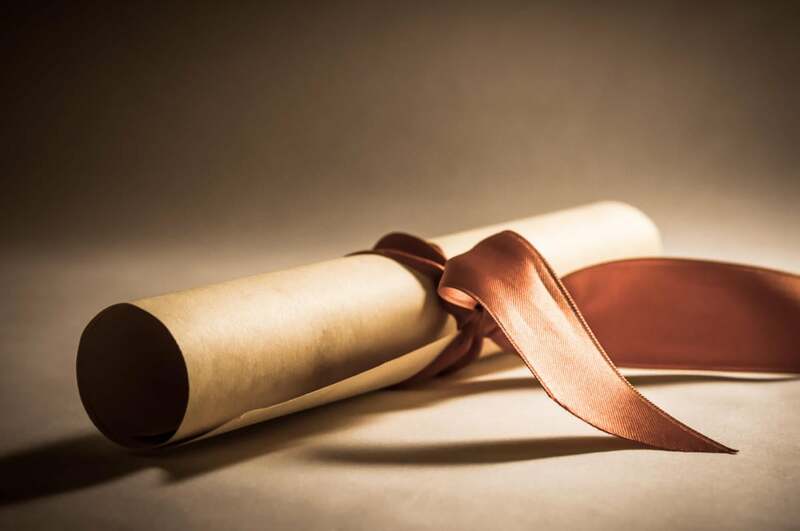 Although an MBA offers many career benefits, it's important to understand that obtaining the degree also requires candidates to make many significant personal and financial sacrifices. Furthermore, MBA benefits may be muted, or even non-existent, for certain types of IT professionals. According to the Poets & Quants website, an MBA from a top school can cost upwards of $200,000 — over $400,000 if one cares to include lost job income. "For most IT professionals who want to continue in IT or an adjacent field, a full-time MBA is not the best use of time and money," Shah cautions. "The opportunity cost is too high." Online MBA degree programs, while not as prestigious, are more convenient and far less expensive (although still not cheap) — generally in the $35,000 to $50,000 range. Anticipated personal ROI must tie back to the program selected, Ramsey says. She notes that a prospective MBA candidate needs to answer three questions: What do you intend to get out of the program? What do you hope to accomplish five years from graduation? What do you hope to accomplish 15 years from graduation? Then determine whether the total cost and effort is worth achieving your personal career goals. Be prepared to wave goodbye to your hobbies and a significant amount of precious personal and family time. Vacations may also turn into "staycations" due to cost, class and study needs. "Burnout is always a factor, and this could introduce problems," Scott adds. “You have an allotted number of hours in a day, and you can only use 24 of them," Ćuk observes. Individuals who have 15-plus years of work experience usually derive less value from an MBA because they've already learned a lot about business through practical on-the-job experience, Settle notes. "At some point after 15 years, the value of practical experience outweighs the value of book learning in an academic environment," he explains. "A full-time MBA is most beneficial for those early in their career who want to transition into a completely different field, like finance or strategy consulting," Shah adds. "In a highly-competitive job market, an MBA can help elevate someone’s resume a bit if they’re perfectly tied with another job candidate, but that’s only assuming they have a deep understanding of critical programming languages or skills," says Ross Williams, chief architect at Solodev, a content management system service provider. "Experience is far more valuable than another piece of paper." Thriving in an IT career depends upon staying ahead of top new technologies, frameworks and languages, says Williams, who holds a B.S. degree in computer science. "If I had pursued an MBA, I would have been stuck for years learning skills in a cushioned classroom rather than with real experience and clients," he explains. "There’s no better place for that than working in the field instead of having a professor teach you what they think could be valuable." "Think of them as tools, and we use those tools to achieve success," Scott says. "There are no guarantees in this world." Is an MBA wortwhile or worthless for tech pros?